It is true that fresh air is essential to humans - we need it to survive. Research has shown that indoor air pollution can actually have more damaging effects on health than pollution in the air outside. Good home ventilation can help to mitigate these health risks while also protecting the home. We often have to be inside in poorly ventilated spaces, which can be detrimental to our health. It is important to have well-ventilated rooms at home and in the workplace. Lets see why Home Need Proper Ventilation system ?. 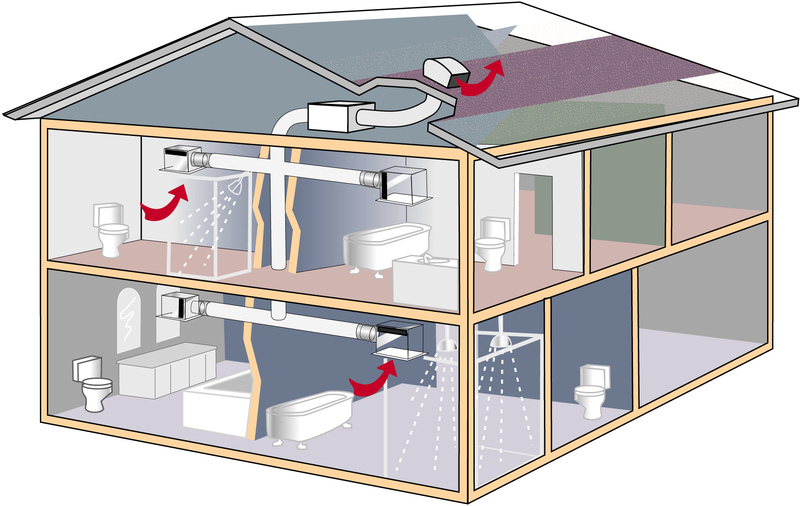 A good ventilation system will help expel a build up of pollutants, bacteria, moisture and nasty whiffs such as body odor. And also a ventilation is useful for Lowering the Concentrations of Radon Gas.Radon gas is a colorless, odorless gas that is formed by the natural decay of uranium in rocks and soil in certain parts of the country. Radon gas has been linked to some cases of lung cancer by the World Health Organization. In homes that are near mines, water treatment facilities, and caves, radon gas may become trapped if there is not adequate ventilation, causing concentrations of the gas to spike. When adequate ventilation is installed, it can reduce radon gas concentrations to healthy levels. Condensation can cause health issues such as allergic reactions and respiratory problems for many people.It occurs when humid air is cooled quickly and can no longer hold all of the moisture in the form of water vapor. The moisture migrates to the coldest surface available and condenses, forming water droplets on windows, walls, or other surfaces. If moisture inside of the home is not controlled over time, it can result in peeling wallpaper, mold and mildew formation, and even structural damage to wood supports. Good ventilation can help to reduce the risk and also help to regulate temperature and control moisture levels. Without better ventilation in home leads to many health problems including headaches, allergies, asthma, rashes and sinusitis. when ventilation is inadequate in home the particles such as pollen, dust, and other irritants can become trapped and concentrated inside of a home. All of which can be avoided with the installation of a good ventilation system. Natural ventilation consumes less energy than a comparative mechanical ventilation system. The use of hybrid ventilation could reduce the energy consumption even further. When pressure inside of the home is lower than the pressure outside of the home, the home is considered to have negative pressure. When a home has negative pressure, outdoor air is pulled into the home, which is called back drafting. This can become dangerous when combustion gases such as carbon monoxide are pulled back into a chimney or other opening and become concentrated in a home. Ventilation can help to control the pressure inside of a home.